Datasets comprising this release include 40km and 70km resolution products at level 2C and 3. L3 mapped salinity products consist of an 8-day running mean product based on the repeat orbit of the SMAP mission, along with a monthly average product. All products are in the netCDF4 file format and are CF/ACDD metadata standards compliant. The SMAP-SSS V3.0 datasets are described and discoverable via the PO.DAAC data portal. Access to these data is via PO.DAAC's public FTP site (Level 2 and Level 3 mapped) but preferentially via PODAAC Drive (Level 2 and Level 3 mapped) going forward given deprecation of PO.DAAC's public FTP site. The data are also accessible via a range of PO.DAAC tools and services: OPENDAP (Level 2 and Level 3 mapped), THREADS, PODAAC-WS and LAS. The SMAP Algorithm Theoretical Basis Document (ATBD), validation analysis and file specification document together with other primary technical documentation, are available from the FTP site together with reader software. General information regarding the SMAP mission is available from the mission website and also via PO.DAAC's SMAP and salinity webpages. 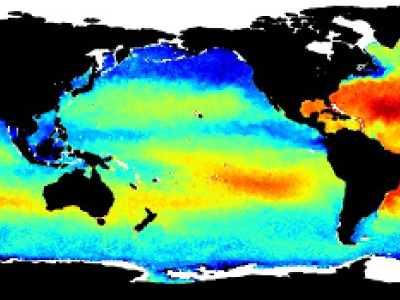 Questions can be addressed to podaac@podaac.jpl.nasa.gov or the PO.DAAC Salinity Forum.